A lush, green lawn is the envy of the entire neighborhood. It puts a professional, finishing touch on your landscaping. Grass seed is best planted in the spring or summer because you will not have to water and weed constantly, as you would in the summer. 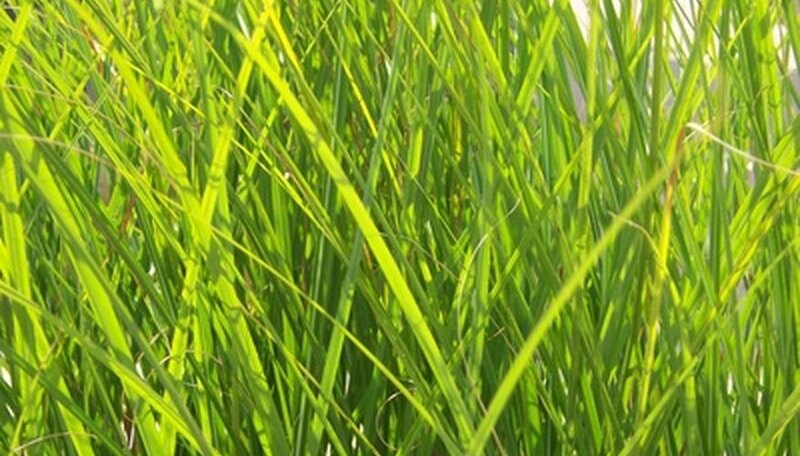 The best pH level for planting grass is between 6.0 and 7.5. If you try to grow grass in alkaline soil, you may not have the same results as you would with balanced soil. However, don't worry -- modify the soil to make it more acidic. Prepare the planting site. Break up soil clumps larger than 1 inch in diameter. Remove debris such as weeds, branches and rocks. They will keep the grass seed from germinating. Determine the soil pH with a test kit purchased from a garden center. Modify alkaline soil by adding ground rock sulfur. Reduce sandy soil pH by 1.0 point by adding 1.2 oz of ground rock sulfur per square yard. Add 3.6 oz per square yard if you have other types of soil. Mix in the sulfur before planting. Work a garden tool into the top 3 inches of soil to loosen it. Use a rototiller for large areas and a hand tool for small spaces. Add fertilizer to the soil, as per the label instructions. Choose a product high in phosphorus. Work it into the top few inches of soil. Smooth and level out the planting area. If there are any dips, add soil to flatten them out. If not, water will pool there and wash away grass seed. Spread seed over the area with a hand spreader or mechanical spreader. Lay down an even amount so that the seed fills in nicely. Too many seeds will result on competition for nutrients. Too few will cause bare areas. Rake over the seeds gently so they become covered with a thin layer of soil. Water the area thoroughly. Keep the seeds constantly wet until they germinate.